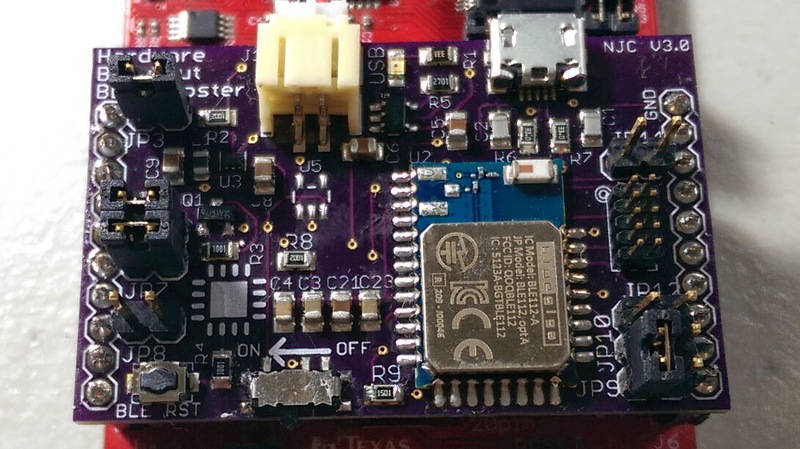 The MSP430 is perfect for low-power and super miniature projects. 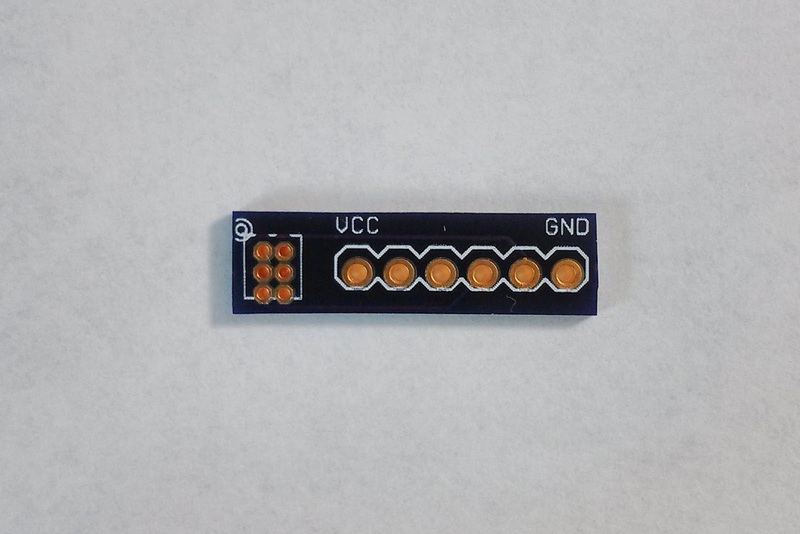 Not only are smaller circuit boards cheaper to make, but they are desirable in many applications; such as in wireless sensor nodes, wearable electronics, and others. Standard 0.1" headers are simply too big for very small boards. 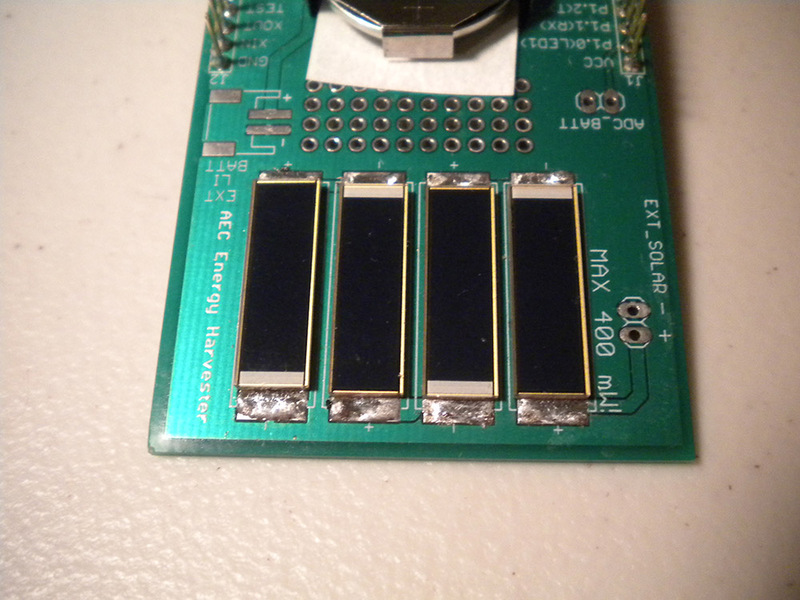 To reduce the size requirement for the programming header, I have started using 0.05" headers. With this post, I would like to share how I use smaller headers to easily make my projects smaller and more cost efficient. 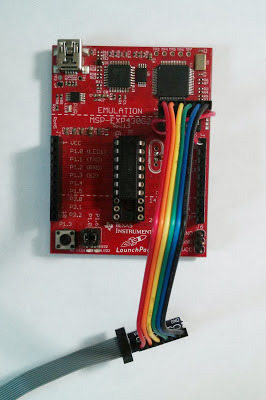 Due to how cheap the MSP430 LaunchPad is, it is often the best way to program your custom MSP430 boards. 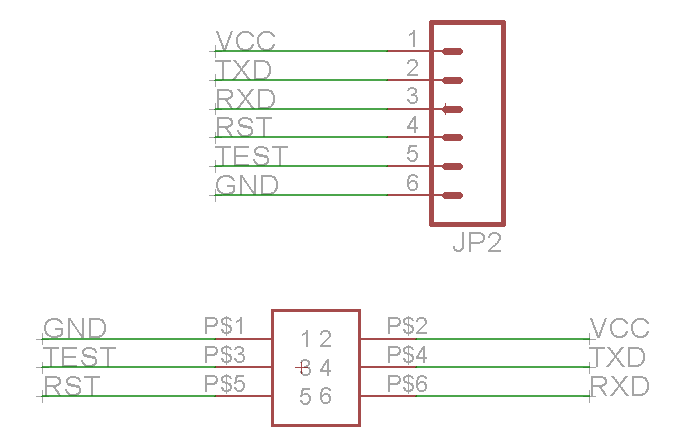 One of my earlier posts details how I use the LaunchPad to easily program custom boards using a 6 pin 0.1" header. It is important to me that I include both the UART RXD and TXD pins in the programming header for debugging purposes. The simple schematic is shown above. Using a 3x2 pin 0.05" header on the target board, I created a "converter" board which connects to the LaunchPad using a 6 pin 0.1" header. Additionally, if I want to reduce the footprint further, I can use only a single 3x1 pin 0.05" header, ignoring the VCC, RXD, and TXD pins (as long as the target device is self powered). The circuit board is shown above. It is very simple, yet very effective. The overall footprint of the programming header has been reduced significantly. 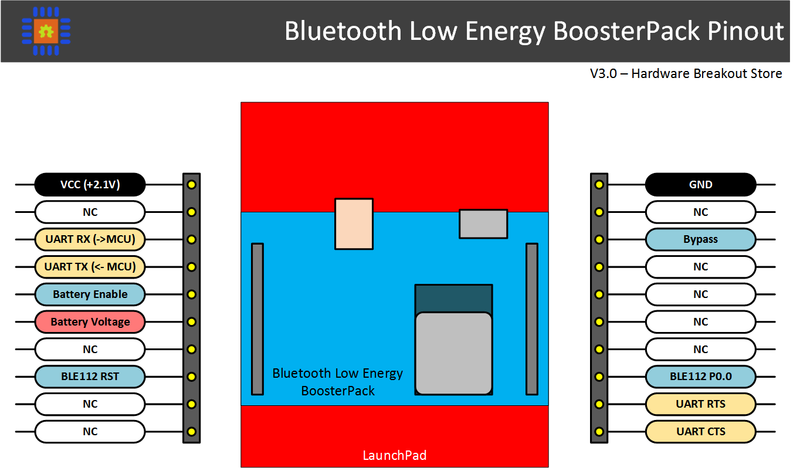 Some possible improvements include the addition of a switch to allow you to choose if the device will be powered by the programmer or not, a protection diode for VCC, and a reset push button for those devices which are too small to have one. If you use the Eagle file provided below to make your own, please keep the URL to my blogs on the silkscreen. For almost no cost at all, you now have a miniature MSP430 programming header that you can use on all of your future projects. This concludes my small but useful post. One Step Closer to the Iron Man Lab! Ever since I saw Iron Man I have dreamed of having Tony Stark's personal lab. 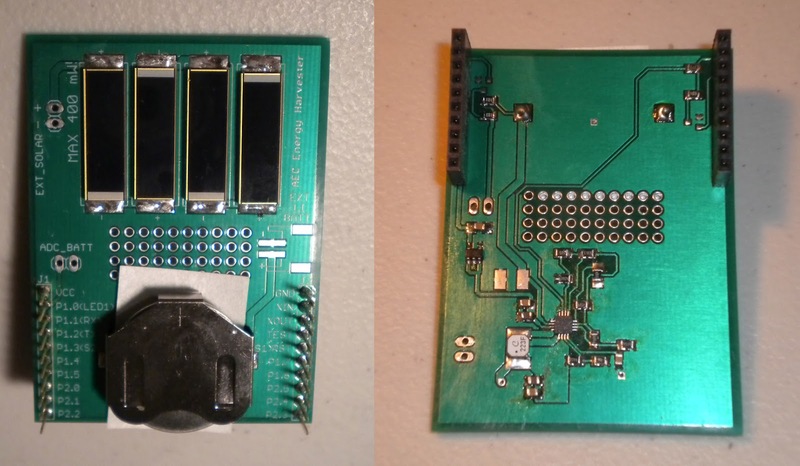 A newly discovered project via hackaday brings us one step closer! 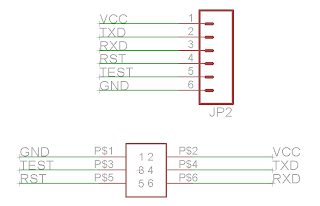 hackeda.com allows you to generate an Eagle CAD schematic from basic circuit building blocks. While this interface is in its early stages and there is a lot of room for growth, I believe that this project can grow into an amazing tool that we can't live without. I really hope we all get behind HackEDA, I really would like to see it prosper. Imagine a day where you can spend your time being creative, rather than painstakingly creating schematics for your ideas. One thing I would like to see from HackEDA however, is an open source computer application for the whole concept. While this might create some fragmentation (which many open source projects struggle with), I believe that this project could benefit from massive and rapid development. Please keep an eye on HackEDA, I believe it is the future of circuit design. Despite the fact that many newer parts are only available as surface mount components, it has never been easier to get a professionally looking electronics project completed. Eagle CAD is a free tool for designing very high quality circuit boards. Additionally, Eagle CAD has a multitude of libraries which can be imported and used in your project. What about creating the actual circuit board? The days are gone where you have to fight with a blank circuit board, iron on traces, and a mini-drill press to get a low-cost circuit board. There are many places where you can order cheap custom circuit boards that are very high quality! Way nicer than anything the average person could make on their own. OSH Park allows you to directly submit your Eagle CAD circuit layout and view a rendering of it online to ensure everything looks ok. Between 2-3 weeks later you have three copies of your circuit board for $5 per square inch. Another option for larger boards is Seedstudio's Fusion PCB Service. Great, now we have a beautiful circuit board that we have no idea how to solder. Although devices can be very hard if impossible to solder, soldering surface mount devices has never been easier. 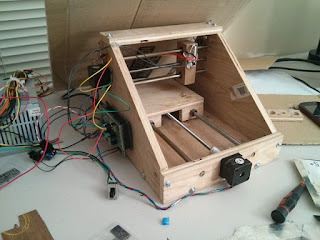 The the coming months I will be writing blog posts on my newest setup at Hardware Breakout, finishing up my posts on a homemade toaster oven reflow oven in addition to posting instructions on how to build a cheap (<$150) PCB stencil laser cutter. A quick peak at my small laser cutter. It takes me no time at all to solder the smallest components with perfect accuracy With the process streamlined so much, I can focus on building cooler and more complex projects. Stay tuned for these new posts! For those of you who don't know, TI and other manufacturers such as Analog Devices have been using a new tool which brings CAD footprints of their parts to almost any CAD software. While companies like TI provide an Eagle Cad library for many of their parts, there always parts which are not included. Let's run through the process quickly. Go to your part (for example, the PCM2706, a USB audio DAC from TI), hopefully there is a CAD/CAE Symbol section. On the side, TI provides a link for the Ultra Librarian software. Install this program, this is where the magic happens. Once installed, download the bxl file for the actual part and open it in Ultra Librarian. If you selected Eagle CAD, Ultra Librarian outputs a script for adding the part to an Eagle Library. Open up your desired library in Eagle, run the script. There you go! The part has been added to your library. While this process does not create the prettiest schematic symbols, it does work very well. I have used this for many chips and am very impressed that the manufactures finally are supporting a wide variety of tools via this program. I imagine a day where the following steps are all that is needed to get a great piece of hardware made. "Computer, I want a circuit board that has a powerful MSP430 on it that is powered by two AAA batteries and includes a gyroscope, a 3-axis accelerometer, a micro-SD card, and a Bluetooth Low Energy radio. A few seconds later, my computer submits a perfect design to OSH Part without me having to double check it while it orders all the parts I need directly from Mouser or Digikey. Three weeks later my board arrives and I have all the parts ready and loaded into a homemade pick and place. Some kind of robotic arm/conveyor belt then applies the stencil and solder paste to the board and then deposits the it in the pick and place machine. Once all the parts are populated, the board automatically gets placed in my toaster oven reflow oven. A few minutes later, with about 5 minutes of my time all-in, I have a completed circuit board which I can now use in a new project. While this may seem far off, it really is not as far off as you would think. I predict that in a few years, it will be possible to have a system like this for less than $500 all in. Not bad when you consider how much professional equipment which can do the same thing (albeit in mass) costs. I personally do not believe that this will reduce the need for circuit knowledge and make us stupid. I believe that this will allow us to be more creative. There will always be a need for the low level skills, but there is no reason to spend all of your time on the low level stuff! First let me start off by saying that if you have the opportunity to go to a local TI event, do it! They are a great way to network and hear about TI products. For those of you who don't know, I am currently a PhD student at the Rochester Institute of Technology (RIT). 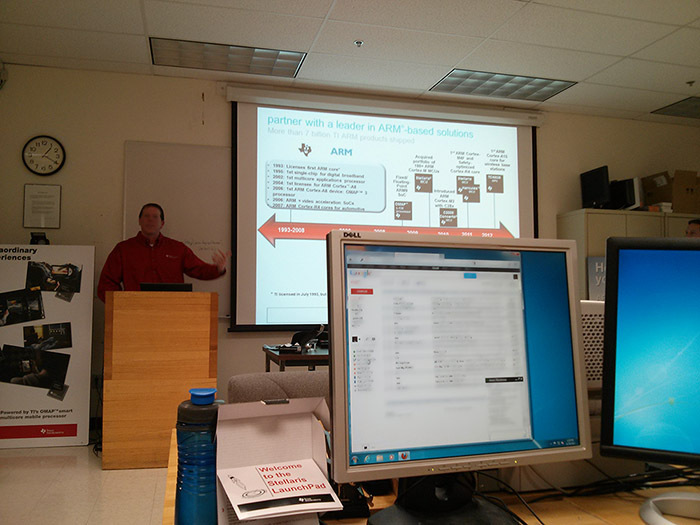 This past Friday RIT hosted an ARM developer's day, where TI manned a both and held a workshop on the Stellaris LaunchPad. I not only learned a bit about TI's ARM products, but also met some great people, and managed to get a TI t-shirt! Very cool! Thank you TI! The workshop was setup very nicely, each attendee had their own computer (for the most part) and a Stellaris LaunchPad to play with. The presentation was quite informative and discussed not only the history of ARM processors, but also the TI products which utilize ARM technology. Much of the information presented is available online at the TI wiki, more specifically under the "Getting Started with the Stellaris EK-LM4F120XL LaunchPad Workshop" page. It's very interesting what you can learn though when you go to these workshops in person. One of the best parts of these workshops is that you get to hear about new and upcoming booster packs and development boards. The picture below shows the FRAM MSP430 development board with the CC3000 wifi module attached. The wifi module from TI has a built in ARM processor which runs all the stack software, allowing your embedded applications to use wifi via a serial connection (UART or SPI). I for one, am very excited for when TI releases this board. Now onto the the Stellaris LaunchPad. 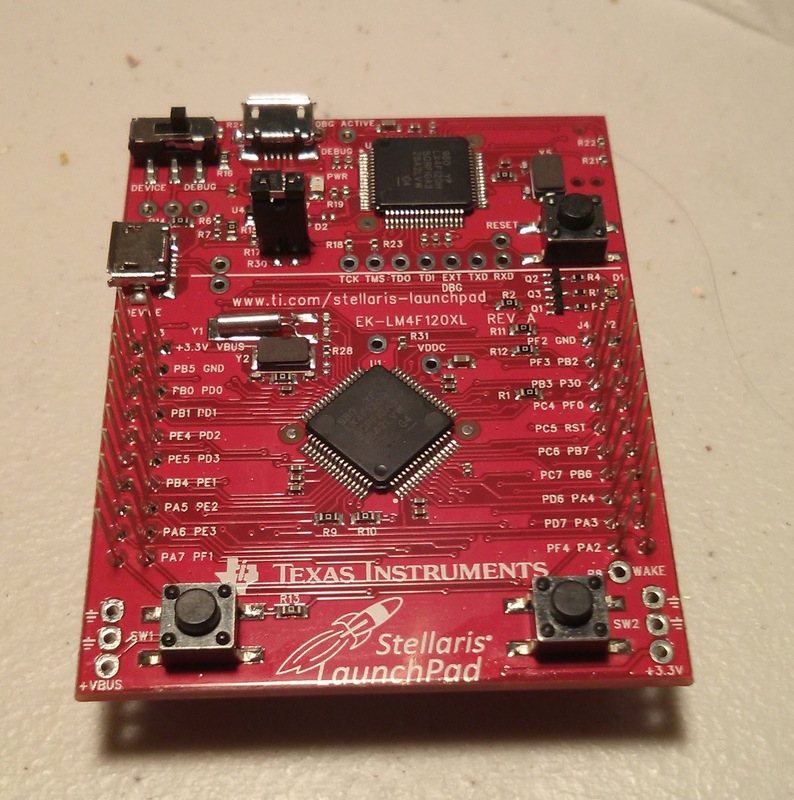 After the presentation by two TI field application engineers, the workshop attendees were able to power up a Stellaris LaunchPad and use the demo software that came pre-installed on the board. Take a look at the picture below; it even comes with stackable headers (which you can't really see from this angle)! Now why would you want to use a Stellaris LaunchPad? The main reason is that it is a more powerful processor, which is ARM based. The ARM processor on the Stellaris LaunchPad, the LM4F120, not only can be clocked at 80MHz but also has a full-speed integrated USB interface. This board will be great for project which require a high speed interface with a computer (did someone say RepRap?). Additionally, there are numerous serial ports, PWM pins, and other awesome peripherals including a high-speed 12-bit ADC. Before concluding, it is important to note that the Stellaris LaunchPad is pin compatible with the MSP430 LaunchPad; this means you can use your booster packs on the Stellaris LaunchPad as well! While I am quite busy these days with my research, I plan on creating a few posts on getting started with the Stellaris Launchpad; more specifically I would like to port over the LaunchScope code to this board. This board has so much potential and I cannot wait to see all the cool projects that will utilize it in the future. Today marks the close of the old NJC's MSP430 Store. The old system which was based on PayPal buttons was very difficult to use and did not lend itself to an aesthetic and functional store. Although the old store has been removed, a new store is ready to go on my other website, Hardware Breakout. 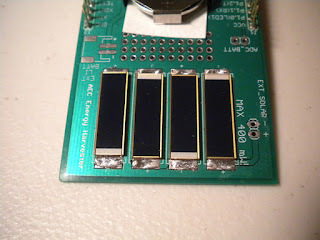 The blog on Hardware Breakout has a long way to go before it is finished, but the Hardware Breakout Webstore is complete! All of the products that you could purchase from the old webstore you will find at Hardware Breakout, except for the DEV.BO which has been discontinued. There are also many new products and breakout boards which I hope you all will love. Please note there has been one big change, shipping is no longer free on order below $5 USD. For most of you, this will not be an issue. Please read the Hardware Breakout Store shipping policy for more information. If you experience any problems with the new store or have any comments, please send me an email or leave a comment. SparkFun sells a great, low-cost, yet easy to use LCD display breakout board for the Nokia 5110 display. This LCD is perfect for any which requires a user interface. When I made the decision to build a reflow toaster oven, I also decided that I wanted to be able to view the oven's progress on a small display. This post supports the series I am writing about on HardwareBreakout.com which discusses building your own toaster oven "reflow oven". This specific display has been used in many projects on many different microcontrollers, such as the Arduino. This means that there is already ample information out there on this LCD including libraries written for many different microcontrollers. Since reinventing the wheel is usually a bad idea, this post will discuss using an existing library for the MSP430 to meet our toaster oven needs. My goal for this project is to display real-time information on the reflow process. This includes the current temperature in the toaster oven, the temperature the toaster oven should be at, the current zone the oven is in (e.g. cooldown, reflow, preheat), and how long the process has been going on for. Given that all of the information I would like to display is text based, implementation is fairly straight forward. There are many libraries written specifically for the MSP430 that interface with this display. 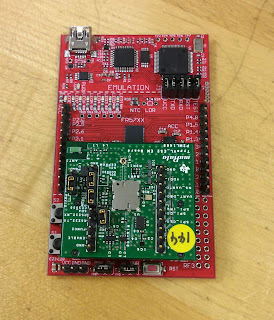 These are just three of the many libraries which can be found for the MSP430. For this post, I have decided to use RobG's Nokia 5110 as it uses the hardware SPI rather than a software SPI. It is VERY important to give credit where credit is due. If you use someone else's code, always include comments in your code linking to the original author. It is great that we have such an awesome community, where code is shared freely. While it is not necessary to understand how the LCD works when using a fully functioning library, it can still be beneficial if you need to modify the library or if you run into problems with your project. The first step in figuring out how the Nokia 5110 works is to take a look at the datasheet. The above image shows how each pixel on the screen is organized. There are a total of 84x48 pixels, these pixels are organized into 6 horizontal banks (zero through five), and 84 columns. Each bank contains 8 pixels, which sum up to a total of 48 rows. The above image shows how the RAM will map to a given pixel in the display. This image shows the whole display, with each row representing one bank. One byte in memory stores the data for each column in a given bank; this makes sense considering there are 8 rows of pixels in each bank. Given that we are strictly displaying text on the screen using RobG's code, we do not really need to know any of this. That being said, understanding how the memory is mapped to the display is very important if you will be creating your own graphics or characters. Since I prefer Code Composer Studio (CCS) over the other methods for programming the MSP430, I will quickly discuss how to use someone else's code in your projects. The first step is to create a new project for your specific device, for this example I am using the MSP430G2553. While you can import any file to your project, I prefer to just copy and paste the code when using code posted online. For RobG's code you need to create one new file, "PCD8544.h" and copy his code directly into it. The simplest way to start with his library is to also copy his "main.c" and modify it for your project. While it is possible to change some of the pin assignments around, be careful. Some of the pins need to stay where they are because they are special SPI pins built into the USCIB interface (in the MSP430G2553). To use this library in its most basic form, three functions are needed. clearBank(bank) - Clears an entire line on the LCD display and sets the current location to the beginning of the line. writeStringToLCD(string) - Write a string to the LCD in the current location. writeCharToLCD(char) - Write a character to the LCD in the current location. In addition to RobB's code I will be using the printf code which I discussed in my previous post. This allows us to display the content of our variables on the LCD display, for example the current temperature of the toaster oven. To use printf, you have to copy the printf.c file into your project and then create the following two functions in your main.c file. By using these functions, the output of printf is displayed on the LCD. *   to a LCD, another option could be to send the string out via UART. *   character to a LCD. The code below is a snippet from my project. This is just a quick example of using RobG's code with my project. I call this function whenever I want to display the current status of the toaster oven on the display. The variables it uses are global variables which will be updated as the program runs. I only call this function when a value is changed, so that the display is not updated unnecessarily. Overall, integrating RobG's library into my project was very simple. It went without a hitch. Modifying his code for custom characters is also fairly straight forward. I hope this post helped shed some light on how the Nokia 5110 display works. It has never been easier to use such a cool display in your projects. This post supports my series on Hardware Breakout which discusses building a toaster oven "reflow oven". Leave a comment and post links of your projects using the Nokia 5110!